Product #16381 | SKU CR2-BP1R | 0.0 (no ratings yet) Thanks for your rating! 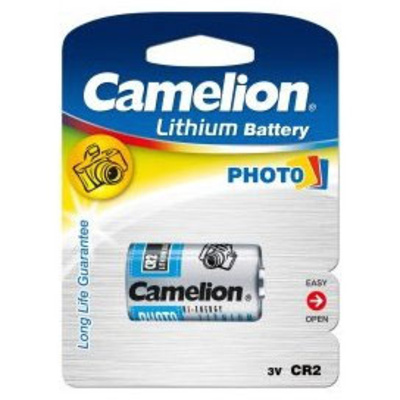 High quality Lithium battery specially designed for Camera use. Manganese Dioxide is used for the positive active material, and metallic Lithium is used for the negative active material.